You have TWO WEEKS to play along - Deadline to enter is Friday, April 27, 2018 at Midnight CST. The winners will be announced on the NND blog the following Monday. 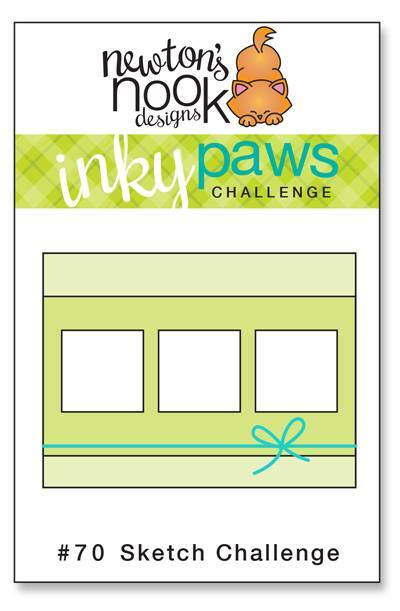 Diane Morales brings us this card "jam" packed with cuteness! Using the Love Bites stamp set and die set, Diane serves up three types up jam and a happy slice of toast! Just delightful! I just love when an artist cleverly combines stamps sets, and Emily Lauritzen has done just that! Her card combines Newton's Costume Party and Newton's Birthday Bash stamp sets. I love how Newton is wearing the shark costume as he floats to the surface on a balloon! Seriously how fun is this shaker card! 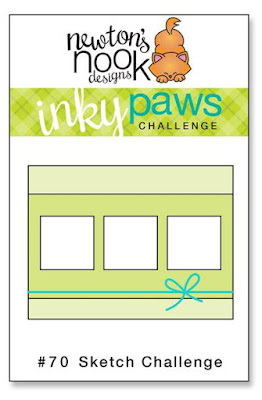 Emily also uses the Frames & Flags die set which is becoming a DT favorite! 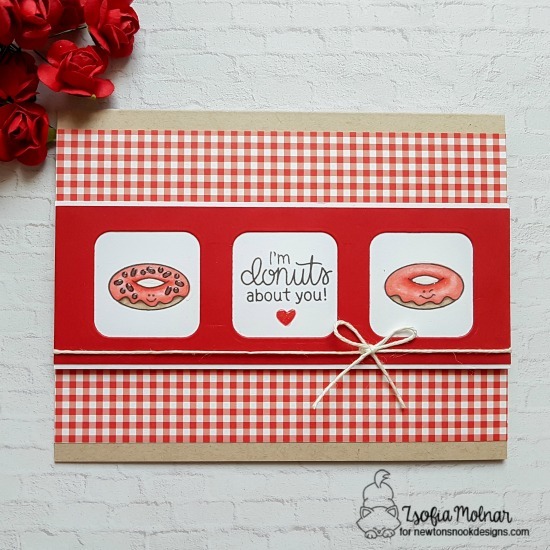 Zsofia Molnar uses red gingham paper that reminds me so much of a table cloth which works perfectly with the Love Bites stamp set. I love the Kraft background and the sweet way Zsofia colors those delicious donuts! 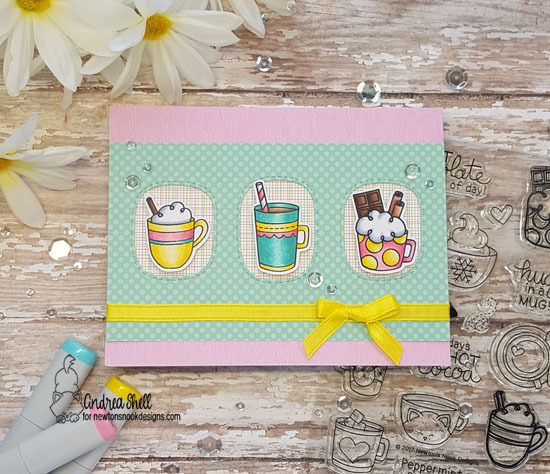 Andrea Shell delights with this sweet card featuring some delectable drinks from Cup of Cocoa stamp set. I love the pastel colors and combination of papers. Super sweet! 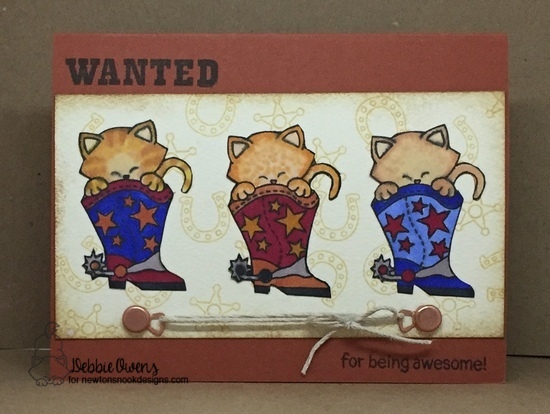 Debbie Owens takes us to the wild west with Newton Rides West stamp set! 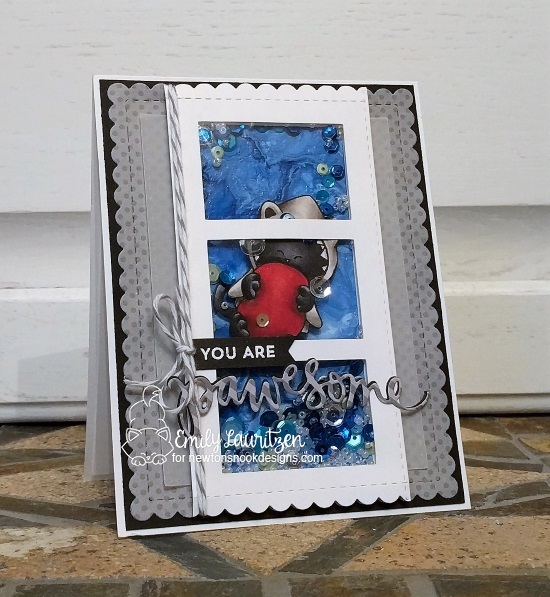 The subtle stamped background, brads, and touch of twine add masculine touches to this cutie!